Not sure where you’re visiting from but my kids’ last day of school is today! Oh boy! Summer means no school, picnicking outside and playing in a cool, refreshing pool. It could mean delicious ice cream treats served at a party or wedding, and family vacations where you might visit a mouse with big ears and his friends or be a guest to a Beach Wedding. 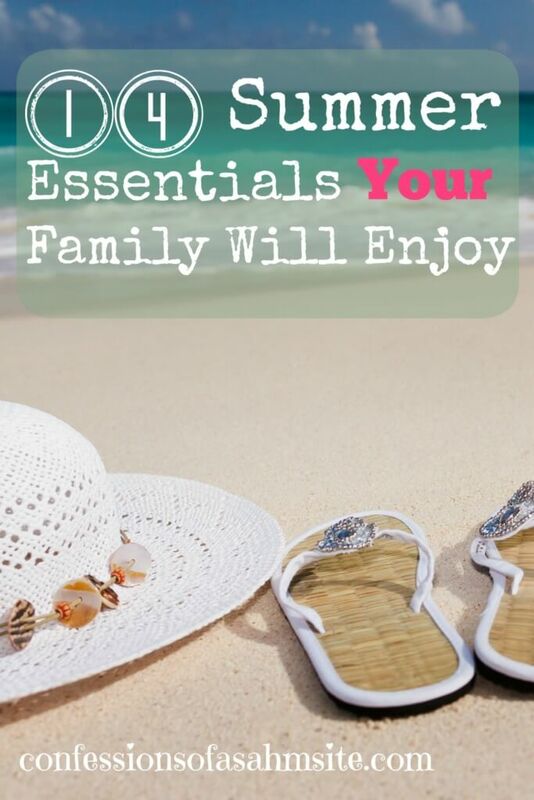 No matter what you like to do during Summer, the following essentials will help make Summer time your favorite time. (This post contains affiliate links). I’ve been searching and looking for fun and cool essentials for my boys and the below are some that I thought were cool to share. Plus, who doesn’t need fun gadgets for the kids to enjoy, and us adults too?! Whether you go swimming in your backyard or hang out at a public pool, keeping cool at the pool is always a top priority and these fun floats are sure to “make a splash”. These fun floats and pool products will turn pool time into party time! This Jumbo Flip Flop Pool Float won’t let this Summer be a “flop”. This giant sandal will turn heads and stop people in their tracks with how cool it is. If you’re looking for something out of this world, then this Star Trek Captain’s Chair Pool Float is sure to please any sci-fi fan. If you’ve got a sweet tooth like I do, this Gigantic Strawberry Donut Pool Float is the perfect option for you. Make Summer a bit sweeter when floating on your favorite treat. For the most part, I’d rather be eating a donut and not float around in it, but this will work too. Less calories! One of the most classic and one of my favorite Summer treats is the ice cream sandwich. Looking at the image just makes me want to take a bite and I just finished a cinnamon roll, YIKES! I guess I was craving something sweet because this is what I picked out of other treats, I mean floats. But let’s relax on this Gigantic Ice Cream Sandwich Pool Float and keep cool while dreaming of a snack…and then go enjoy one after! It’s the best of both worlds when you get to sleep and tan on your favorite treat, then take a break from relaxing to eat. Yummy! Planning a stay-cation this Summer? I know we will since there’s no vacation time for this momma. So of course, if you’re like me, then having picnics or backyard BBQs is ideal for you. These must have essentials will help you be the star and make the most out of your outdoor dining. 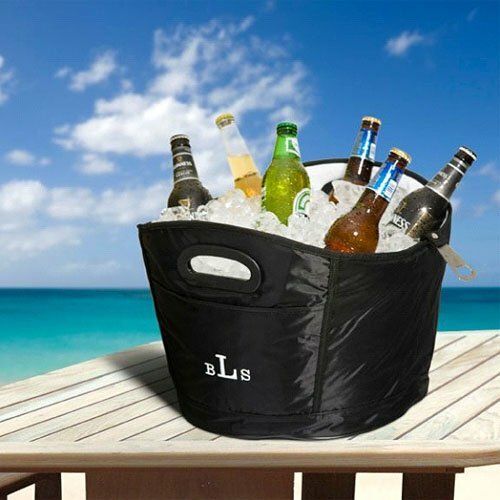 Keep your drinks cool while having a seat at the park, a picnic or even while tailgating with this customized portable, cooler, backpack chair. WHAT?! I wish I could’ve invented something like this. 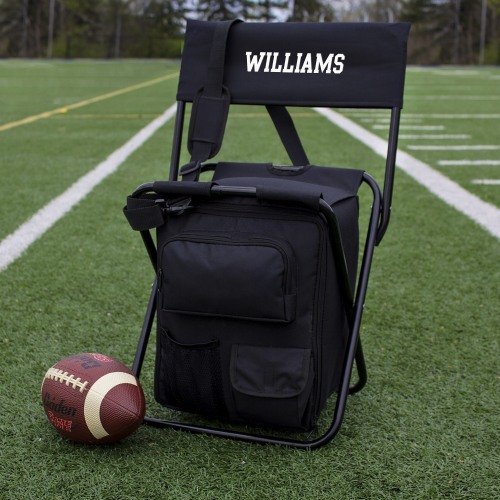 Now no one can ever claim your seat again when your name (or initials) are actually on it with this awesome Personalized Tailgate Backpack Cooler Chair. Having a bigger event? We usually have to borrow coolers and sometimes get mixed up while returning them but not with this Personalized Party Tub Cooler. It’s the perfect party supply to keep everything from the kids’ soda to a delicious white wine cool. Large enough for a party and stylish enough to be the “cool-est” accessory at the event. Want to make your meal even more special? 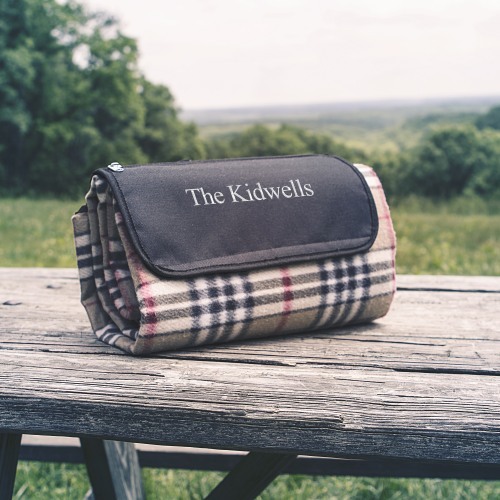 This Personalized Picnic Blanket will be the perfect “cover” to keep your food from falling onto the ground. I don’t know about you, but I don’t like to sit on grass because I remember the movie “Antz” or “Honey I shrunk the kids”. Ha, probably just me but I don’t want to think on what I’m sitting on. With this blanket I’m sure I won’t worry about the grass stains either. 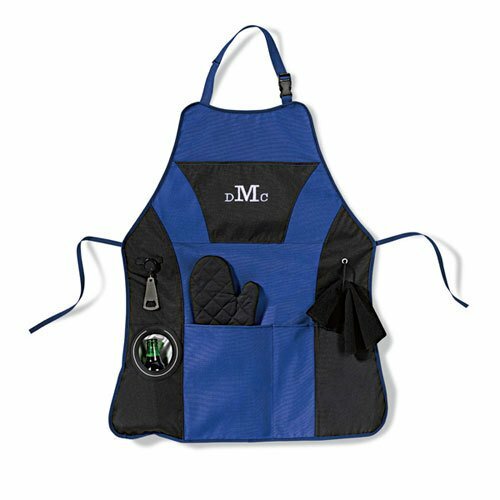 If you’ve got a BBQer in your home who can’t get enough of the grill, this Personalized Grillmaster Apron is the perfect accessory for them. Just in time for Father’s Day too! It has pockets for almost everything and you can have it customized to make it a great Summer gift. You can’t buy the apron for your BBQ master without having the proper tools to go with it. 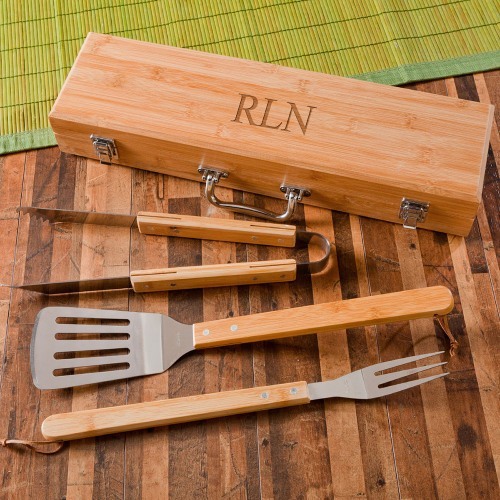 That’s why this Personalized Grilling BBQ Set with Bamboo Case makes the perfect complement to the apron for that special someone. Hint, hint, also the perfect tool for a Father’s Day gift! From the playas of Mexico to the beaches in California, beach parties and Summer go hand-in-hand. My brother just got married but there is no beach close to our hometown, but they will be having their honeymoon in Florida. Lucky them! If you’re ready to take your beach wedding or party to the next level, here are some fun ways to help. Each of these unique items will help ensure your guests will have a cool time. There’s nothing worse than forgetting sunglasses on a sunny beach day. It can ruin your volleyball game, make castle-building in the sun a challenge and your eyes may hurt after a while. That’s why giving everyone a pair of Personalized Sunglasses is an amazing way to enjoy your event. You thought you were over the flip flops? Think again! Although it is Summer and these yummy sweets can melt if they are not in your personalized cooler, they would be a great treat to keep you and your guests’ energy up. I know that the sun wipes me out. That’s why it’s important to have lots of water and snacks ready. 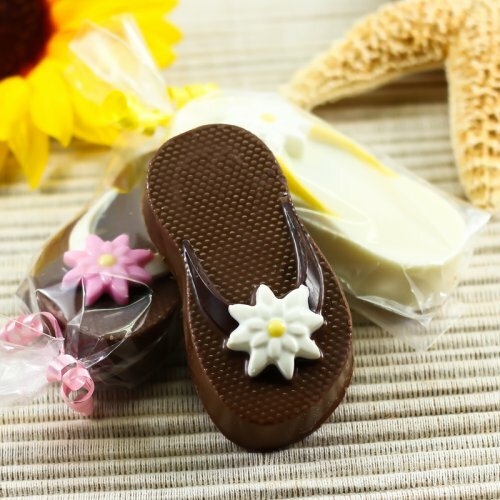 These Flip Flop Chocolate Covered Oreos are shaped like flip flops to match the beach theme and look SUPER cool. The only thing worse than forgetting sunglasses is getting sunburned. These Personalized Sunscreen Wedding Favors are the perfect way to make sure everyone is safe from getting “burned”. I remember one time I didn’t wear any sunscreen and I looked like a crab, so red and burned that I couldn’t touch my skin, OUCH! If you really want to surprise your guests, or if it’s a family trip, these Personalized Beach Towels are the perfect way to help everyone have fun. They come in multiple bright colors and are perfect to help you dry off after playing in the water, or get comfy and lay on them while getting a tan or reading your favorite book. Last but not least, you need a way to help everyone transport their sand covered beach items from their clean ones. Maybe you want them to have a tote to carry their things in from your wedding and while they enjoy the beach. 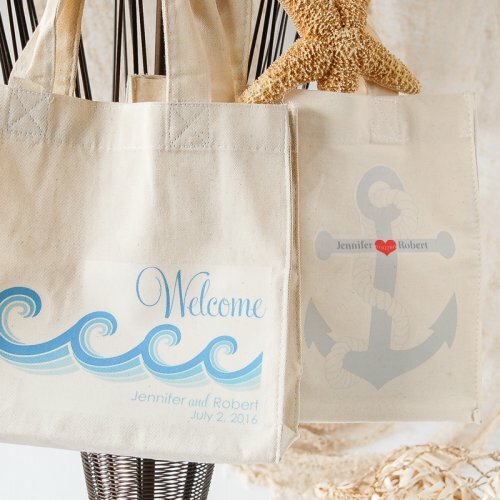 These Personalized Cotton Tote Bags are the perfect party supply for beach goers and can be used again and again once they get home. 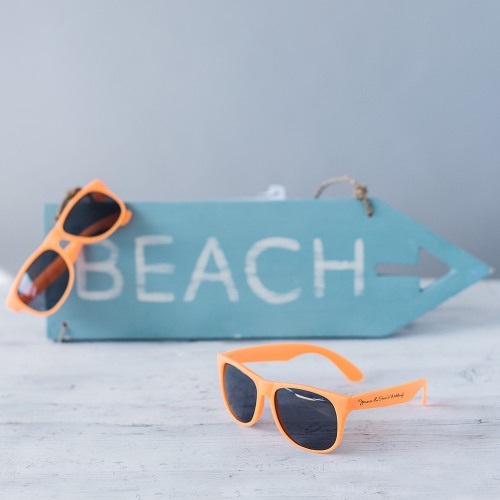 Whether you’re going on vacation, being a guest at a beach wedding or having backyard BBQ’s, there’s no way you should miss being cool with these Summer Essentials. Everything from unique Pool Floats, Personalized Picnic, BBQ & Tailgating Supplies and Beach Wedding & Party Supplies. P.S. What other cool gadgets do you have for others to enjoy? Make sure to leave your suggestions and ideas in the comments below. These are great buy for a great summer! I especially like the flip-flop Oreo’s! Thanks for sharing and linking up for some #mommatime! Me too! Anything edible, I’m in.